We are proud that Sela Roofing has been recognized as a member of the 2012 GAF Steep Slope Master Elite Presidents Club! Thank you to all of our customers and our amazing partner GAF – Roofing. We feel truly honored. Welcome To The New Sela Roofing Website! We are excited to announce the launch of our new website! Yes, it looks much better and cleaner, but we redesigned it so that you find the resources that you need when selecting a roofing contractor. As part of our development process, we talked to you about what you are looking for when you come to our website… and we listened! Now we have not only a much cleaner interface, but our navigation and interactivity have improved. We heard you when you said you wanted to be able to reach us on any device at any time and our website has been optimized for all your mobile devices and platforms. We want this website to be not only a reflection of our company, but of you – OUR CUSTOMERS. We have added ways for you to provide us with feedback and share your Sela stories with us! We feel this is a huge step in the right direction, but feel free to tell us how you like the new site and if you have any suggestions for improvement. We are LISTENING to you! 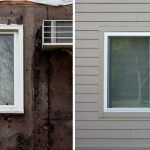 Owens Corning announced it is expanding its very popular Oakridge® with Artisan colors to give homeowners more options for rich and vibrant shades. We can’t wait to start installing the new colors! Available in early February 2013, the new Artisan Colors build a bridge from Owens Corning’s traditional Oakridge® color offerings to its high-contrast TruDefinition® Duration® Shingle colors. This new collection is only available in the Oakridge® line and will offer five colors inspired by nature’s beauty in each region. The popular Oakridge® traditional colors will remain in the line unchanged. This week at the International Builders Show in Las Vegas, Owens Corning released a line of new energy efficient building products. There is some great stuff that we are looking forward to using! It isn’t a big surprise that the snow storm is leaving a wake of damage behind on the roofs of Minnesota. With the addition of snow and melting, ice dams are starting to form on roofs across the state. If you need help, we are always here!